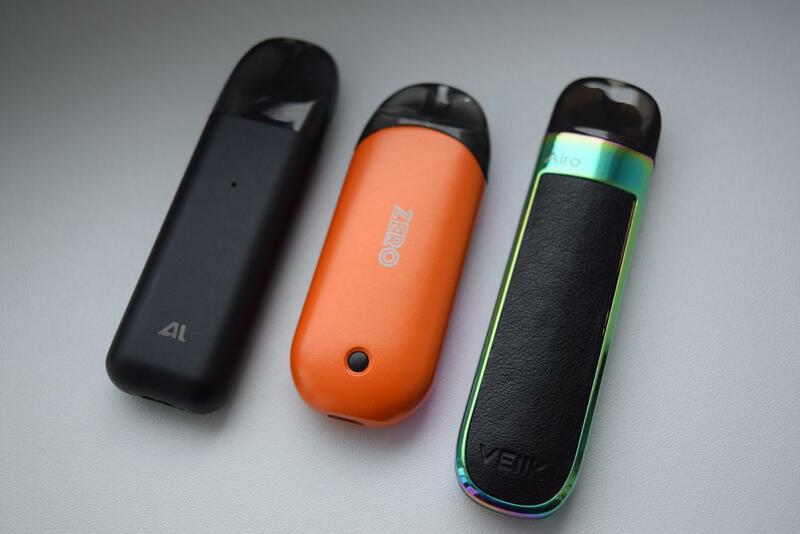 The VEIIK Airo is an open pod system featuring an elegant design, leather-imitating panel stickers, a 360mAh built-in battery, 2ml pods and a simple to use air-activated switch. The Airo is a beginner-friendly vaping device aimed at casual vapers and smokers looking for an alternative nicotine delivery system. 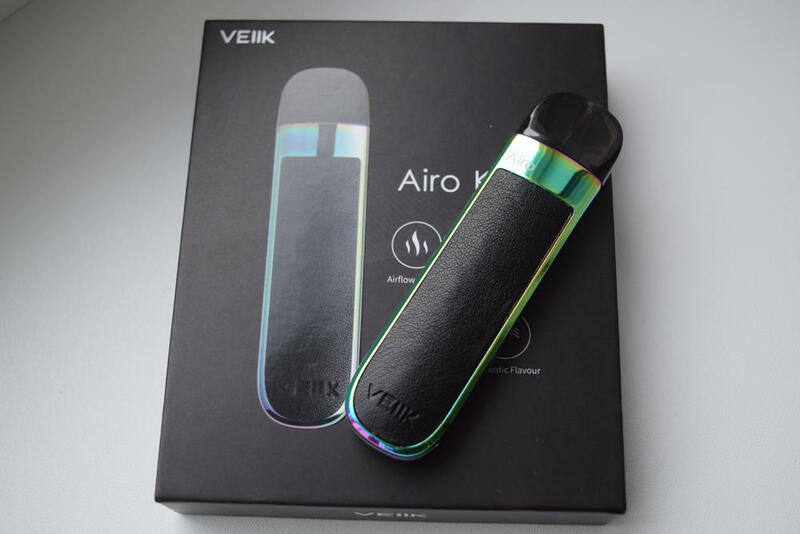 The Airo by VEIIK comes in a small rectangular cardboard box with a life-size picture of the pod system as well as several pictograms of its main features, on the front, and a short description of the product, technical details, a list of kit contents and manufacturer information, on the back. Inside the box, we have the Airo vape pod, a user manual, and an accessory box which contains a micro-USB cable, a spare refillable pod, and a bag of silicone plugs for the fill port on the pods. I’ve rarely seen manufacturers include a spare fill port plug, let alone four, but in this case it actually makes sense, because these particular plugs are completely detachable, so dropping and losing them is a possibility. I do appreciate the inclusion of a spare pod, though, especially since most companies only offer one, which I find infuriating. 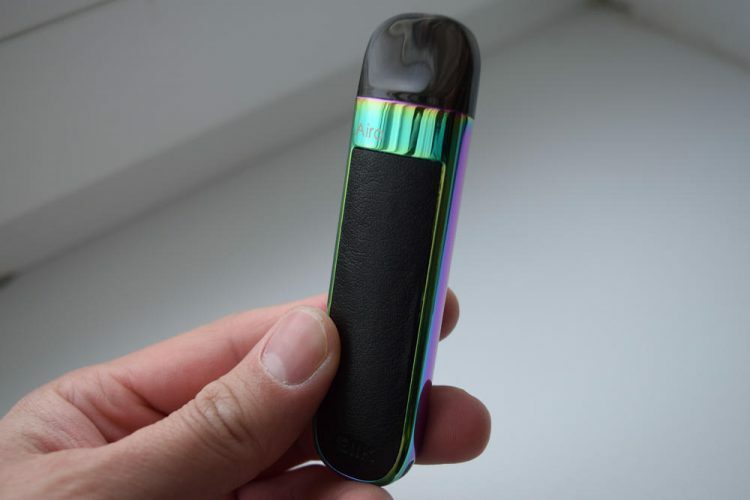 The Airo pod system isn’t really the most innovative vape pod out there, so it relies heavily on looks to attract potential buyers. 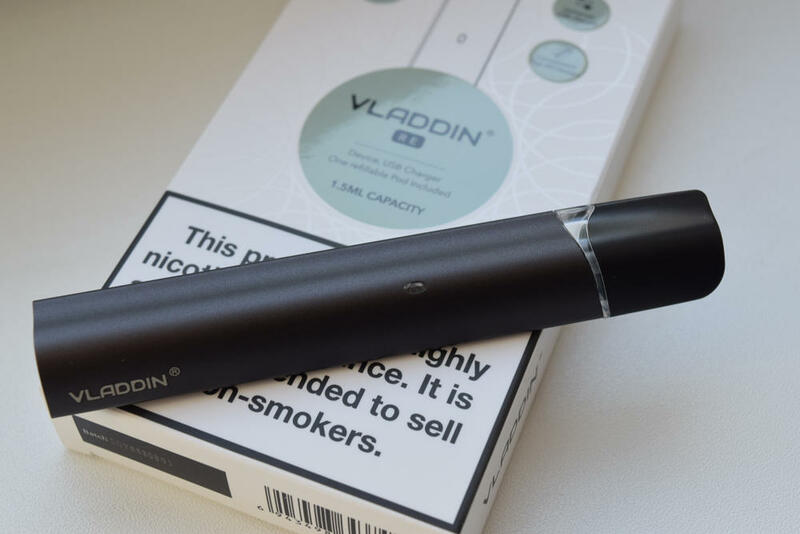 Luckily, this is one of the most elegantly-designed pod systems on the market right now. It has an oblong, nail file-like shape, is made primarily of zinc alloy and features these high-quality leather-imitating panels on both sides. Although VEIIK clearly states that these are just stickers, they actually feel like genuine leather to the touch and are even have the company’s logo stamped on them. I’ve seen similar stickers on devices like the Elephone Ele Cigar and the iJoy Maxo, but these ones are of much higher quality. 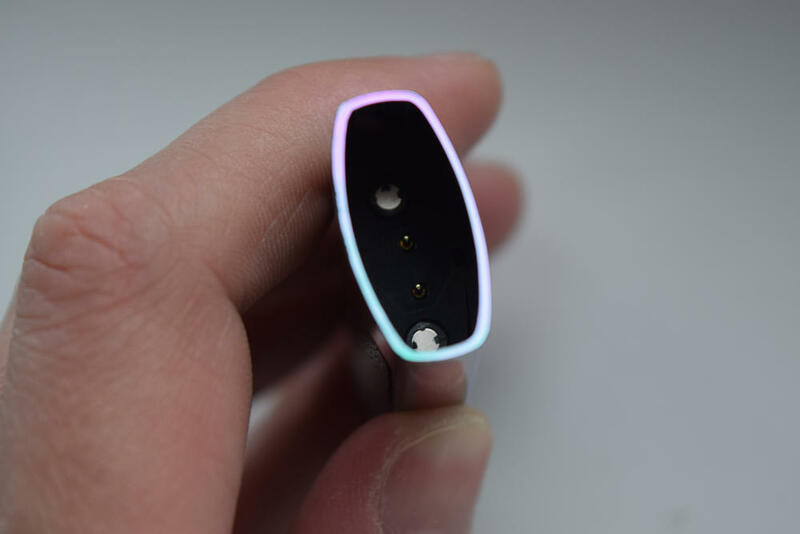 The VEIIk Airo measures 100.5mm x 25.5mm x 12.5mm and comes in a variety of color combinations, like white with red panels, blue with blue panels, or rainbow with black panels. 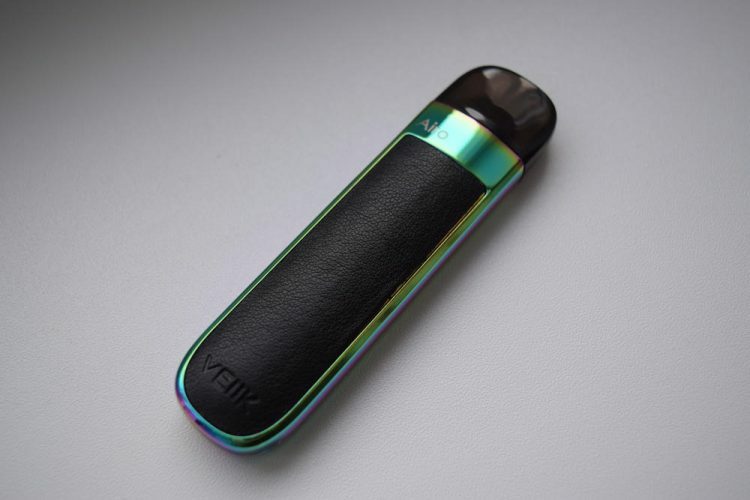 Like most vape pods on the market today, the VEIIK Airo is a minimalist device. 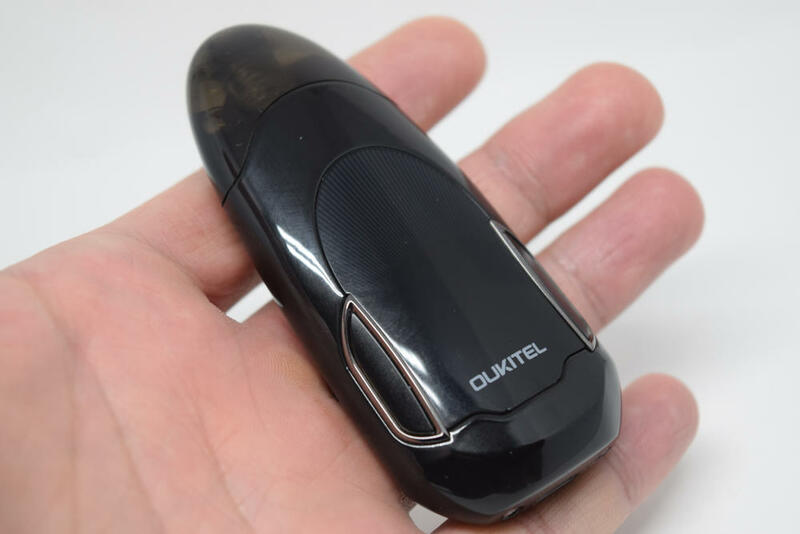 Apart from the large LED light at the bottom, a micro-USB port for charging and an airflow slot on the side, and the refillable plastic pod, there’s really not much to talk about. However, this being a device aimed at beginners and casual vapers, simplicity is actually one of its strengths. The Airo pods hold up to 2ml of e-liquid and feature a 1.2Ω coil with organic cotton wicking. Filling is done via the fill port on the side of the pod,, which is covered with one of those silicone plugs I mentioned in the first section of this review. These plugs are detachable so you have to be careful not to lose them when refilling, but should that happen, the kit includes four spares, so you should be good. Still, I don’t really see the point of a completely detachable plug, when virtually all the other pods I’ve reviewed have partially-detachable ones. The pods are tinted brown, but you can clearly see the juice level inside, and connect to the battery section via a pair of magnets. You do have to be careful when inserting the pods, though, because they only go in one way. All in all, the VEIIK Airo is a nice-looking device that doesn’t really bring anything new to the table. 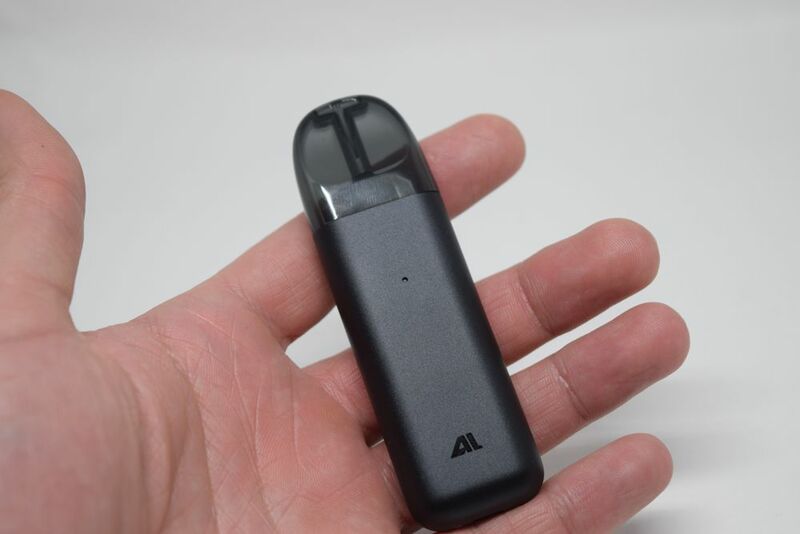 The Airo features a non-removable 360mAh battery, which is a bit underwhelming considering that this is one of the larger pod systems I’ve tested. 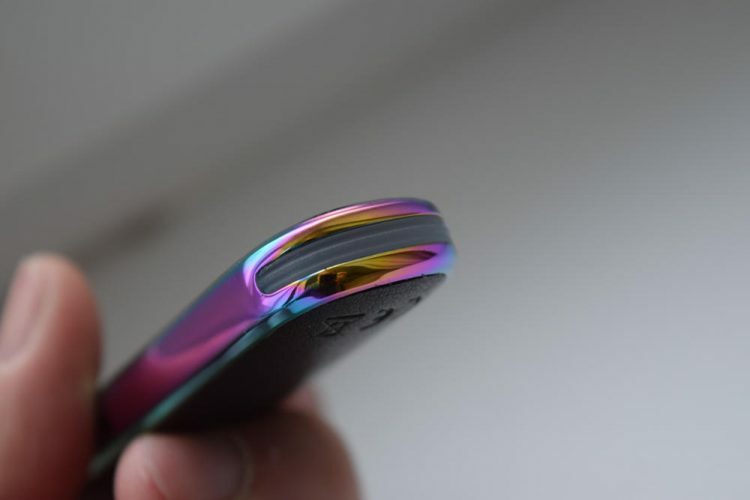 For example, it’s considerably longer and only slightly thinner than the Renova Zero pod, which has a 650mAh battery. That’s more than double the battery life, so one has to wonder why VEIIK didn’t opt for a higher capacity battery. On the bright side, the Airo does feature vape-while-charging technology, so as long as you have a USB power source available, you shouldn’t worry about running out of battery. Vaping on the go is another matter. If you spend most of your day out and about, I suggest taking a spare with you, because, depending on how much you use it, there is a high chance that one fully charged Airo pod won’t last you a whole day. 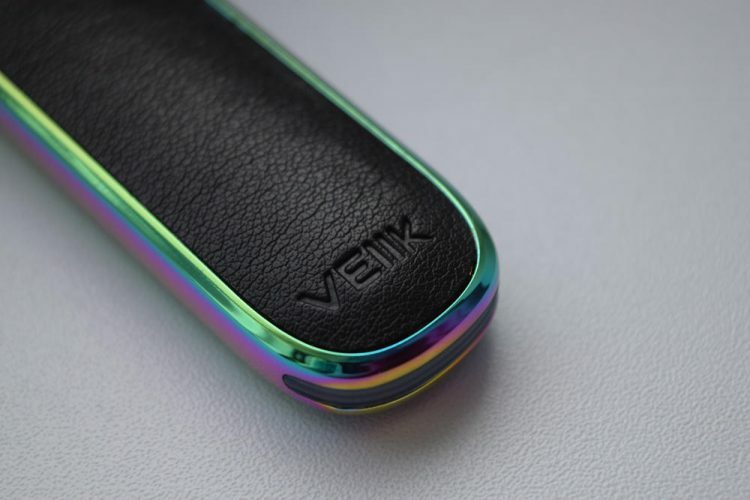 The LED indicator at the bottom of the VEIIK Airo pod system acts as a battery life indicator. When it lights up white, the battery is over 70 percent charged, blue means it’s between 30 percent and 70 percent, and red means it’s time to recharge. Performance-wise, the main thing to keep in mind when deciding whether to buy this device is that it has a very loose draw, so loose, in fact, that I sometimes had trouble doing a mouth-to-lung hit on it. It wasn’t that the draw-activated switch was malfunctioning, it just needed a bit more airflow to power on the battery. Doing lung hits is much easier, but if you’re looking for that restrictive mouth-to-lung draw reminiscent of tobacco cigarettes, you’re probably not going to enjoy using the Airo. One pro I have to mention is that in the five days I’ve been using this device for, the pods have remained almost completely dry. 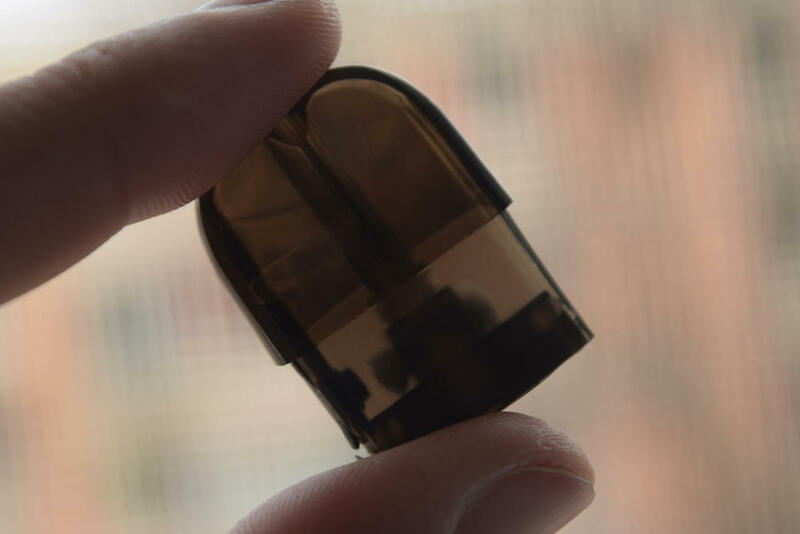 With almost all the pods I’ve reviewed in the last year, and there have been a few, there would always be some juice or some condensation on the bottom of the pods, but not on the Airo ones, so you don’t have to worry about liquid getting into the battery. No leaking through the mouthpiece either, apart from a bit of condensation which is perfectly number from time to time. As long as you don’t mind the very airy draw, the VEIIK Airo works as intended. 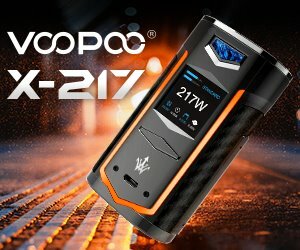 The VEIIK Airo is not the most impressive vape pod I’ve ever seen, but it definitely looks cool and has decent performance. I’m not a huge fan of airy pod systems, but that’s a very subjective thing, and I can’t fault the device for that. 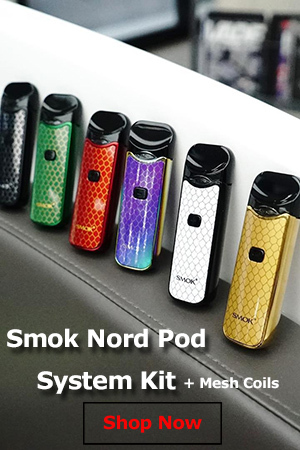 So if you’re looking for an affordable, easy-to-use pod, the Airo is at least worth considering. The Airo was sent to me directly by VEIIK, for the purpose of this review.